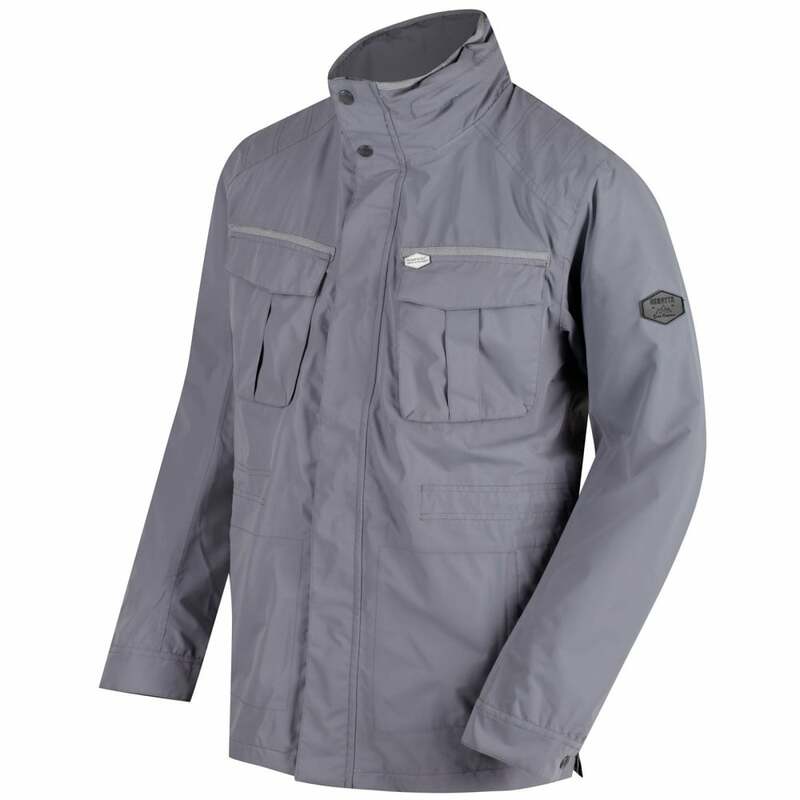 The Regatta Mens Eldric Jacket is a waterproof lifestyle jacket designed to provide waterproof and breathable protection while out and about in the great outdoors. The Isotex 5000 fabric is waterproof, windproof and breathable to help keep you dry and comfortable whatever the weather. The waterproof protection keeps water out while the breathable nature of the fabric allows moisture vapour to escape. The fabric is completely windproof which eliminates windchill and keeps cold air out. A zipped internal security pocket provides you with a discreet place to keep important items such as travel documents or money. An adjustable roll-away hood provides convenient protection from the elements, ideal for protecting the face and head against cold winds, heavy rain and hail. The hood can be conveniently rolled away into the collar when not needed.